Depreciating prices of oil and gas (from $115/bbl in 2014 to $69/bbl in January 2018), competitive rivalry, the threat of new entrants and growing bargaining power of buyers and suppliers urge oil and gas companies to transform their strategies. Unlike other, other industries, they are under more pressure to adopt smart industry concept. What is Smart Industry Concept? Well, it’s the adoption of Industry 4.0 trend to automate operations and facilitate data exchange and utilize data to drive operational efficiency and accuracy and foster smarter decision making with the better utilization of automation and data exchange. How to Materialize Industry 4.0 in Oil and Gas Industry? Here comes the significance of the technology vendors offering Internet of things consulting, product manufacturing, IoT application development, deployment, integration and support services. 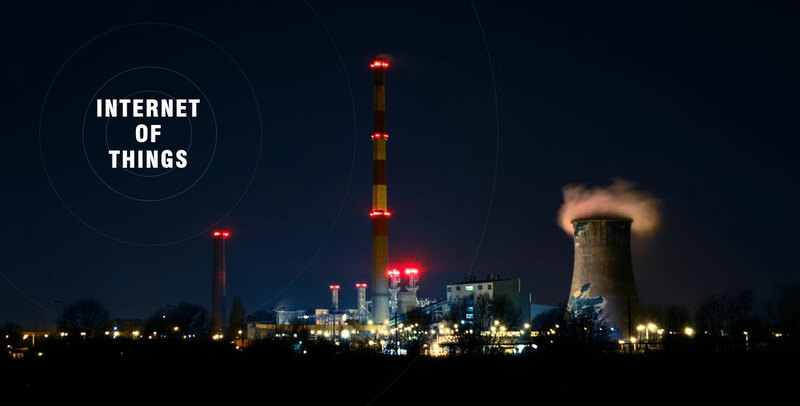 Take a glimpse how IoT makes oil and gas companies to realize the Industry 4.0 trend. The availability of IoT platform in software-as-a-service model ensures interoperability, which means an uninterrupted and secured communication among different assets or elements involved in the operation. This is highly desirable considering the versatility of the technologies of the legacy system, and, thus businesses can easily migrate to smart infrastructure without discarding the legacy element. The implications of miscommunication reflect in term of repeat works, productivity, and revenue loss. Here is an estimation of the rework that is required. Fortunately, the inclusion of IoT can give a significant breakthrough by connecting devices, operations, and people. Creating multiple copies of data at different stages to understand incremental changes, making it available at the right place, device and user are of utmost importance in maintaining the transparency amidst the stakeholders including multi-disciplinary engineering teams, project operations manager, engineering information management team, procurement and commercial teams and accounting and finance teams. Thankfully, Internet of Things makes all a certainty. With operational equipment equipped with the RFID tags and sensors, it’s possible for the machines to disseminate and collect information through the IoT platform server. Productivity, efficiency, and ROI are directly proportional to the IT uptime. Hence, it’s important for the oil and gas companies to maintain a healthy, stable, secure and resilient IT infrastructure. IoT provides a commercially viable solution to help technical support team to stay proactive to the varied emerging and unpredicted technical assistance requirements. They can monitor the status of the machines and the quality and quantity of the deliverables and enable engineers to respond to a situation at the right time. This is also instrumental in maintaining health and security compliance. The automation process can be enhanced further by making the machine to respond to any situation - good or bad, planned or unplanned - with spontaneity, accuracy, and timeliness. This helps avoid conflicts, save labor and respond to an emerging situation in a better way. The insights can further be utilized to improve the resiliency of a business and make it more competitive. Implementing an IoT-integrated whole engineering system, oil and gas entities can improve work processes and reduce or eliminate the risk of engineering errors to maximize productivity, reduce challenges and stay future-ready. However, the infrastructure must be based on a reliable IoT platform, and the end-users must have access to information and gain control over the operation through a simple user interface. Hence, the role of an IoT application development company is of paramount importance.